The *s below represent any number from 0 to 6. You set * when Shapeshifter is cast, and you may change it during your upkeep. 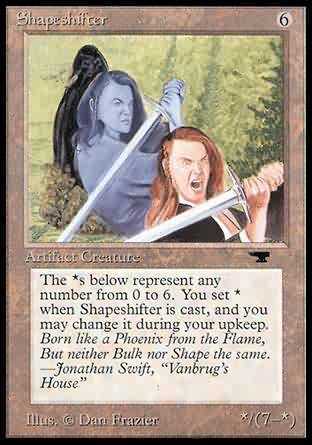 As Shapeshifter comes into play, choose a number between 0 and 7. But neither Bulk nor Shape the same.